BOOK Accommodation NOW [so you are close to the action at The Station resort Jindabyne. 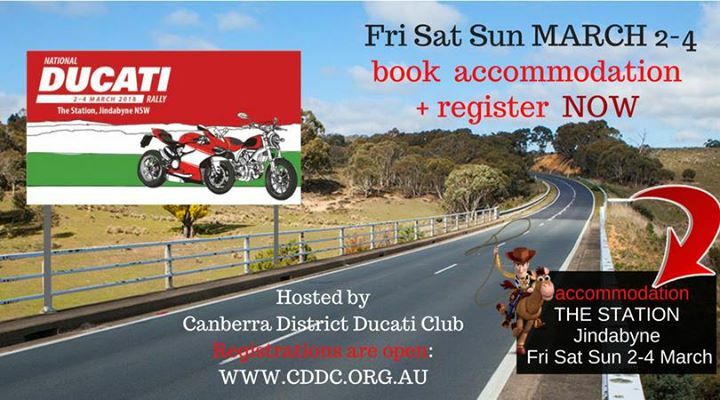 Also register with the Canberra District Ducati Club. Decide on what days you are riding + stand by for ride details closer to the dates.